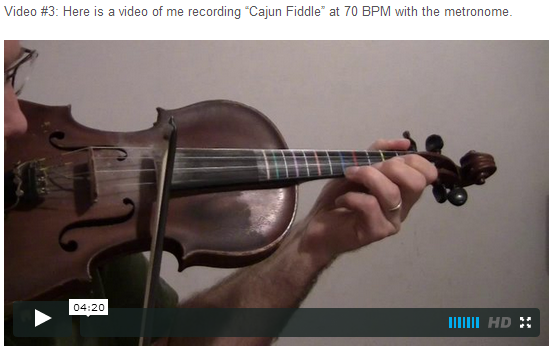 official source linked here This is an online fiddle lesson for the tune "Cajun Fiddle." 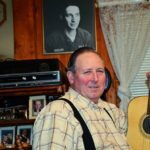 Don Rich was the leader of the "Buckaroos" who toured and recorded with Buck Owens. He was an amazing singer, guitarist, and fiddler, but died tragically in a motorcycle accident in 1974. This is my cover of the fiddle tune "Cajun Fiddle." 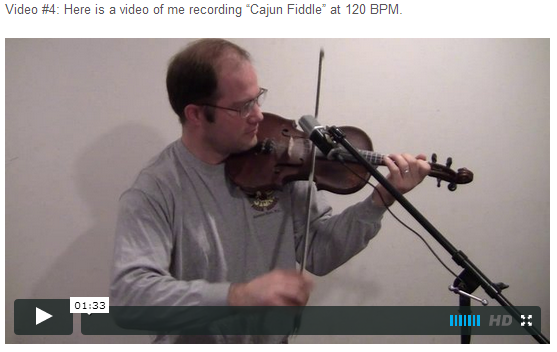 Video #1: Here is a video of me performing the fiddle tune "Cajun Fiddle" at 170 BPM. The first break is like the tablature below, but the other one is improvised. 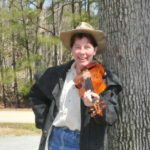 Posted in Bluegrass, Cajun, Intermediate	Tagged with: “fiddle tablature” “country fiddle lesson” “bluegrass daddy” “john’s fiddle lessons” “john cockman” "Don Rich" "Buck Owens" "Cajun Fiddle"
This topic contains 20 replies, has 8 voices, and was last updated by Angela 8 months ago. Anyone who thinks that this is not worth $50.00 a year, are crazy! I am a past road musician and I know the work it takes to learn a instrument, but I have learned more through these past few months than I have in a year. 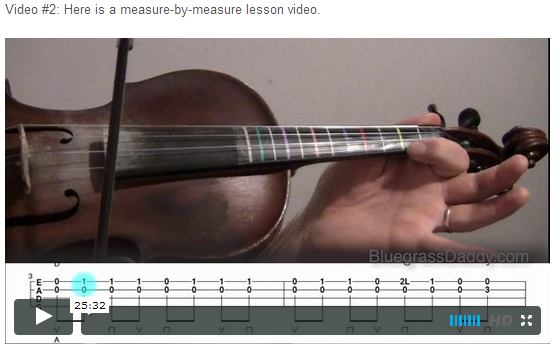 Just looking at the work it took in putting Cajun Fiddle on this lesson. Thank you John for sharing your blessings of time and talent. Thank you Gary! Comments like this one make it worth it! 🙂 I’m glad you are getting a lot from the site. https://m.mg.mail.yahoo.com/ya/download?m=YaDownload&fid=Inbox&mid=2_0_0_1_613364_AH4aDUwAABagVb5YegjtKCnDUuQ&pid=2&check_content_type=2&fullscan=1&YY=1184723710&appid=YahooMailMobile is the same version or is it different? I’m having trouble hearing how certain parts go in your version. I have all the notes down but I can figure out how it goes in places and this version seem more actuated or pronounced if that makes sence. Hi! I’m having trouble with the link you posted. That sounded great ! Not sure how that can be played better, or what exactly is the question? John will no doubt have a better idea. Was that you playing ? Sounded almost just like Johns version, I think John might have a little more bowing to it, not sure, very well played I must say, Cajun fiddling is a good one for playing with country music, seems to fit in , just saying. Have a great day. Thanks! That is the same version that I teach, with some minor differences. I teach the Don Rich version note-for-note. In the version you posted, the shuffles are the same, but the lead-in notes are sometimes different. Thank you for your reply. One more question for you. In the step by step version and the 70 bpm video you don’t have the same ending as the 120 bpm or the 170 bpm video. How did you finish it on the the 120 and 170 versions? Please post a video for us in the Lion’s Den when you get a chance! I am so glad this song is here. I have been looking for it all over and could not find it. It appeared incredibly difficult when I downloaded the notation, but after trying it, it is not as hard as it looks. . .at my slow learning level. Just for my sanity. . . it seems that the up and down bows listed with the tablature is opposite from what you play? I didn’t even notice until I had gone through it a few times. 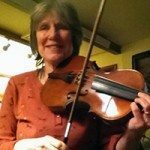 Hi Fran, I’m using an old-time bowing notation where the up arrow means up-bow and the down arrow means down-bow. I am in the process of separating notation from tablature, and the notation will have the standard bowing indicators. I’m glad you’re learning the song! Please drop a video performance into the Lion’s Den! 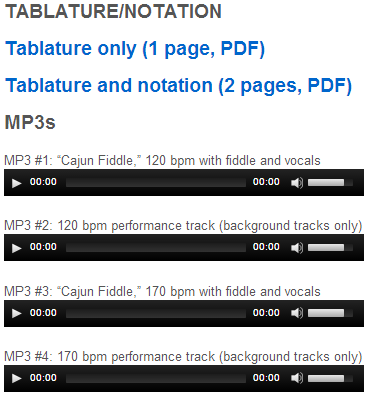 I’ve updated the Cajun Fiddle jam tracks to quieten the steel and add some accordion. Much better now! Pulling this one back out. I had most of A down but gave up on the transition from A to B and the B part. Somebody requested it at a jam the other day…..So, here I am back at it. I tried to play along with a Don Rich recording and found he was playing in a CRAZY key…. Then, as I was looking around at cajun music, I read that cajun fiddle is often tuned down a step to mix better with the accordian…..ha! who knew?! It’s a cool tune…I play it, but I don’t really play it right…lol. Hope to hear you play it soon. Nancy , Its a great tune But , I have to much on my plate to even think about starting this right now , Sorry ! It’s funny how many of us are looking at this right now. Haha. Cricket, I heard yours the other day and thought it was real good I read someplace that gdgd tuning was also common in Cajun. Been working on it tonight. I think I have it and will post to Lions Den tomorrow or Sunday.